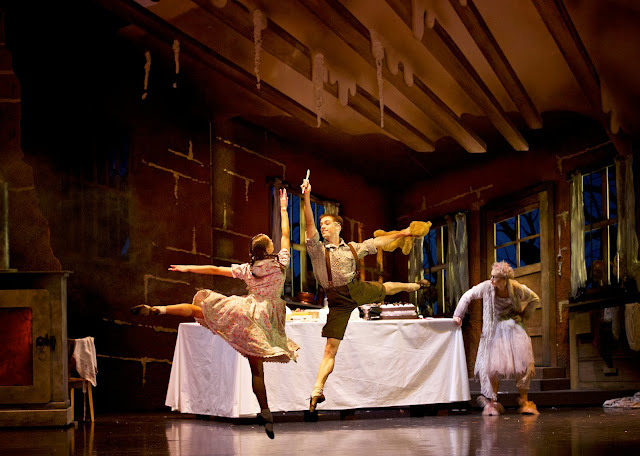 On Saturday I was up bright and early with a spring in my step as I was off to spend the day in the company of some fellow Scottish bloggers to learn more about the Scottish Ballet's brand new production of Hansel and Gretel in the gorgeous surroundings of the Blythswood Square Hotel. We were greeted by a delicious ballet inspired Woodcutters Wife cocktail (a mix of gin, ginger syrup, candied peach and lemon) complete with adorable mini candy cane, and led into the hotels very own screening room to enjoy some 'making of' videos from the ballet. I love getting a behind the scenes glimpse of how the production comes about and who all was involved in making it, so they were the perfect way to build excitement for the afternoon's matinee. We were then led into our suite- which was a vision of pink with our beautiful Hansel and Gretel afternoon teas lined up. Created especially to go alongside the ballet you are treated to 3 tiers of the most delightful cakes. There are of course tasty sandwiches too- but for someone with a sweet tooth such as me ( the witch in the fairy tale would have won me over SO easily!) I was just taken by the adorable miniature candy coloured treats awaiting me. Raspberry macaroons, marshmallows,éclairs, scones,popping candy carrot cake and mini gingerbread men,my inner sugar demon was DELIGHTED ( and high as a kite afterwards!) The whole thing was absolutely delicious- the attention to detail in what they are offering is so adorable, and the surroundings of the hotel are just perfect for a special day out. Now the Blythswood Spa has a very special place in my heart and I still list it as my number 1 destination for pampering in Glasgow thanks to its incredible thermal experience and relaxing atmosphere so I was delighted that some of their talented therapists were there to treat us to a relaxing hand massage ( all that cake eating and gossiping is very hard work!) I was thrilled to get to bend their ears on all the latest news from the spa who have some amazing new products in right now from Ishga that I can't wait to find out more about. We were lucky enough to also be treated to a Q+A with two of the productions dancers and their was even costumes to get up close too. The amount of work that goes into a whole production such as Hansel and Gretel really is incredible and being granted access to the whole process was such a special experience and everyone was a buzz with excitement as we headed off to the theatre to take our seats for the performance. 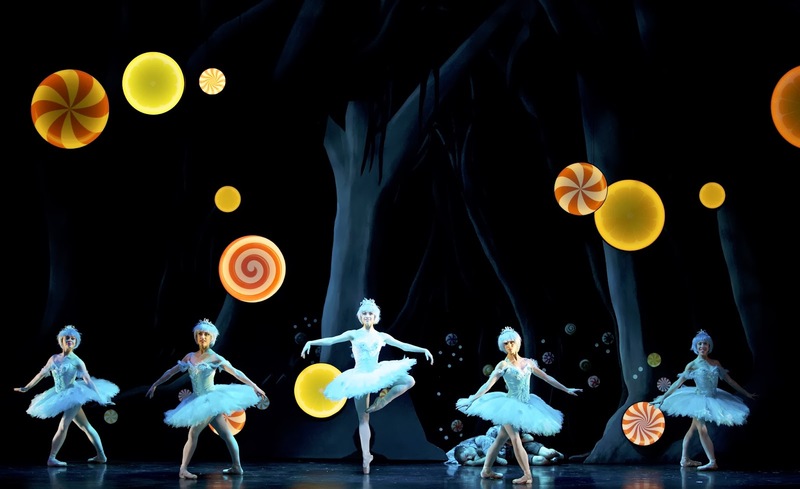 Hansel and Gretel was just a whirlwind of magic and fantasy from start to finish. I was absolutely enchanted by the whole thing and could honestly watch it over and over. 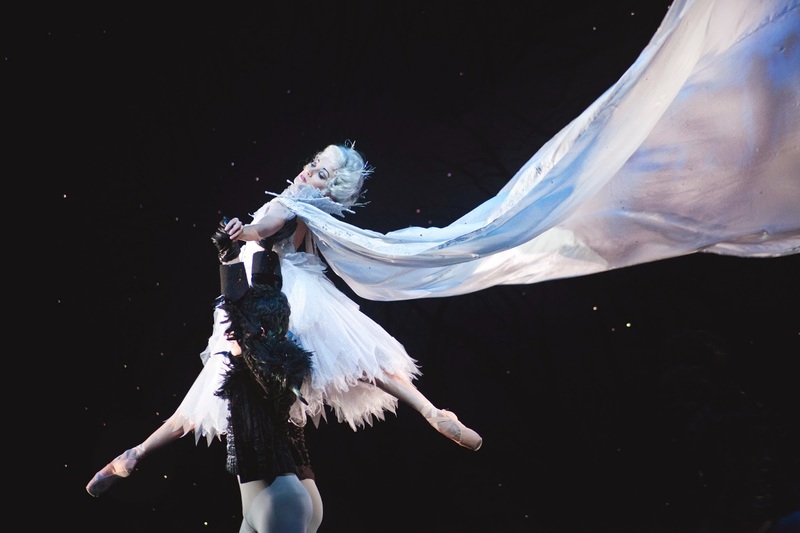 Mixing in a dusting of comedy to the dark in places fairy tale, the Scottish Ballet have created something really special that I know anyone would enjoy. We were there alongside an audience of all ages who were all swept along with the story, laughing and gasping in unison and generally having an amazing time. If you are looking to do something different to your average panto this Christmas then this is just for you- check out my last post for tour and ticket details here. If you would love a behind the look at the production like we were lucky enough to have then you actually can. Tomorrow the company will be broadcasting a live webcast from the Theatre Royal at 4.30pm where you will get the chance to be taken into the wings to watch the dancers warm up, take a look at the incredible scenery and props and even hear artistic director and choreographer, Christopher Hampson, talk about the production. You can get involved by sending any questions to the team to be answered during the webcast by emailing christina.riley@scottishballet.co.uk or tweeting them to @scottishballet using the hashtag #sb_webcast..
You can watch along with the wecast by clicking on this link www.scottishballet.co.uk/HGWebcast tomorrow at 4.30pm. Thanks so much to the lovely team at the Ballet and the staff of the Blythswood hotel for putting together such a gorgeous day for us lucky Scottish bloggers. It was the best Christmas present ever!